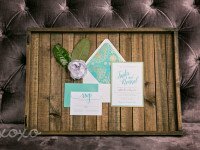 It’s been a while since I have done a styled shoot and I must say – I think this is my favorite to date! 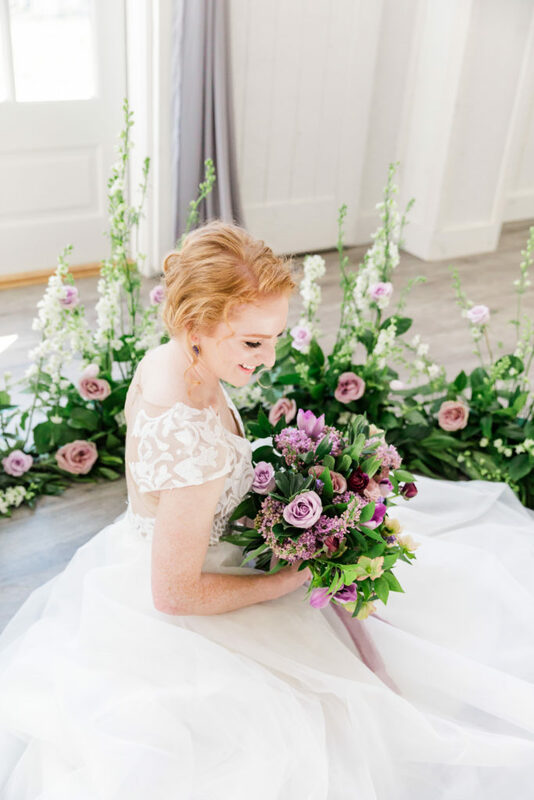 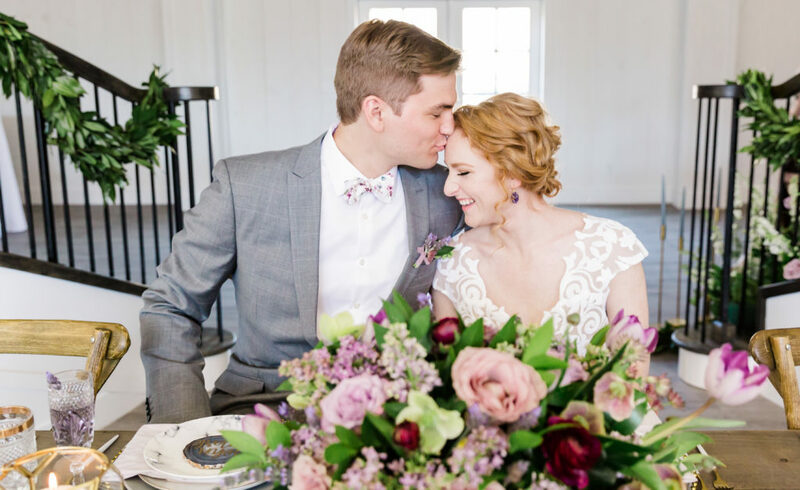 Katie of Katie Tiller Photography organized an awesome vendor team to execute her lush, lavender wedding vision at one of North Georgia’s newest (and brightest) venues! 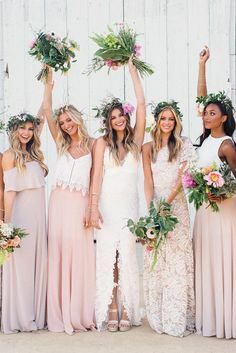 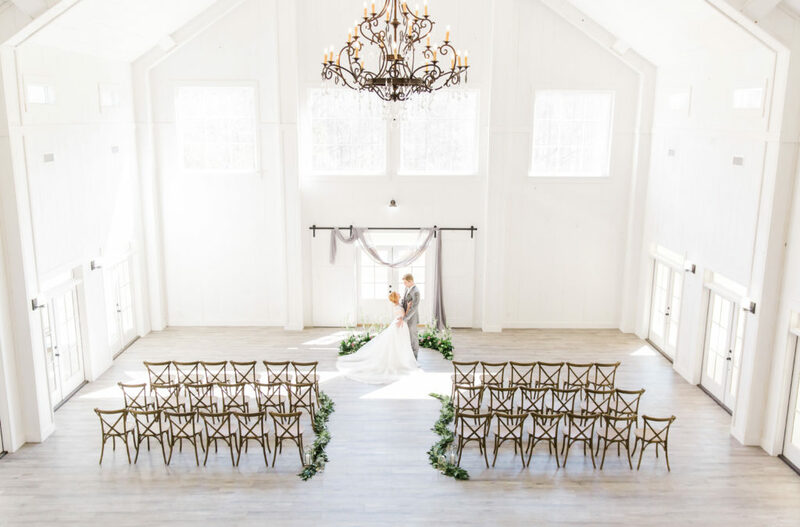 Circle B in Tunnel Hill, Georgia is a photographer’s dream with white walls, tall ceilings, and huge windows letting in tons of natural light. 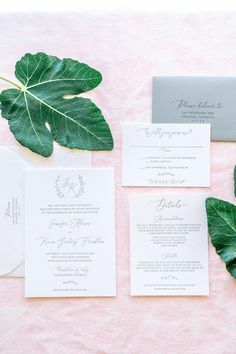 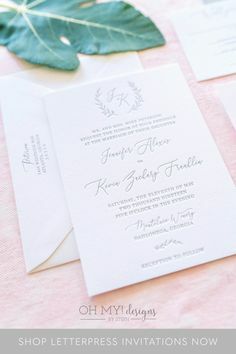 This invitation suite was created based on a custom design I did for one of my best friend’s weddings. 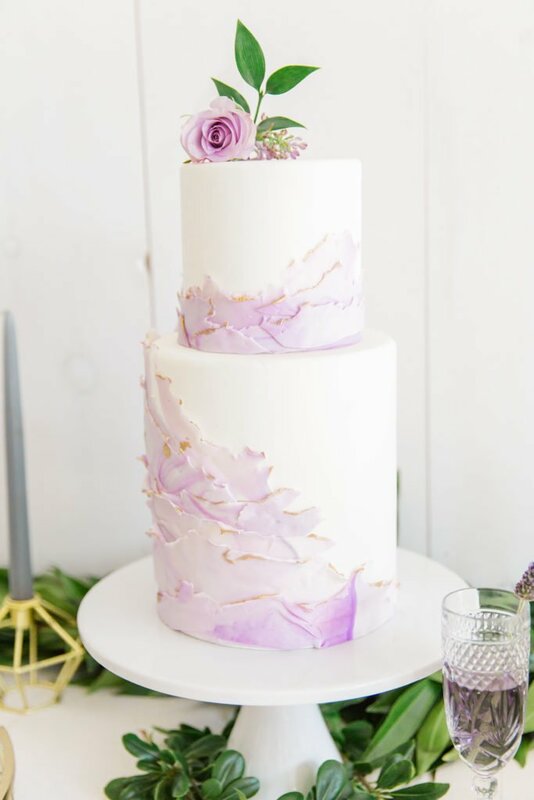 I modified it a bit to fit the geo theme Katie envisioned. 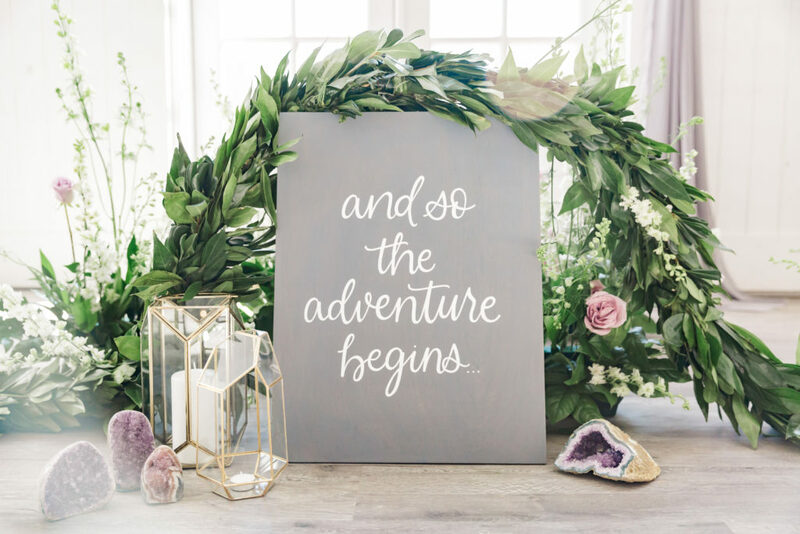 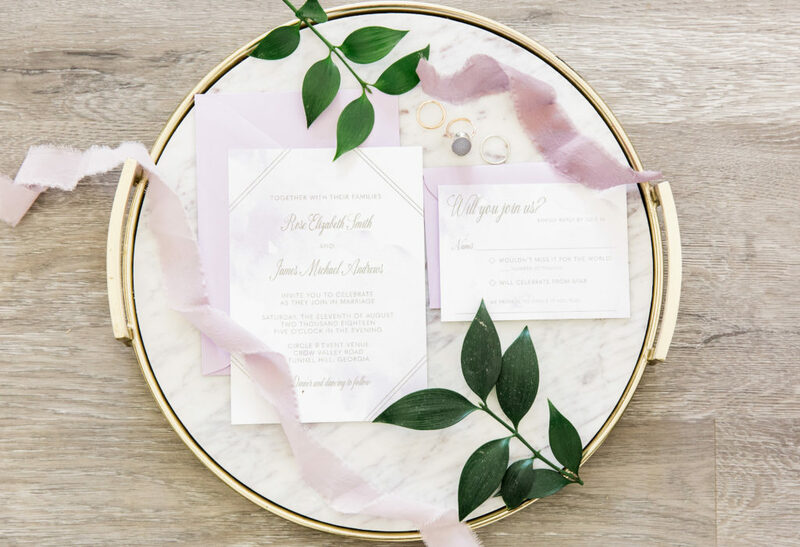 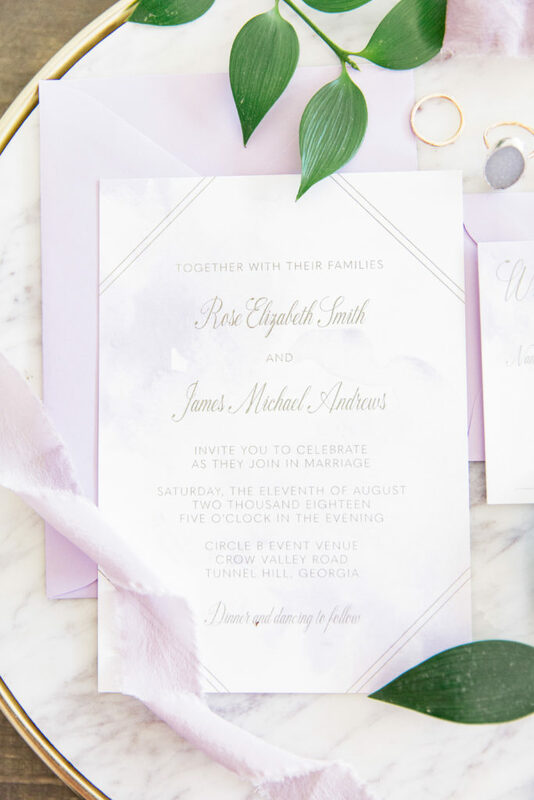 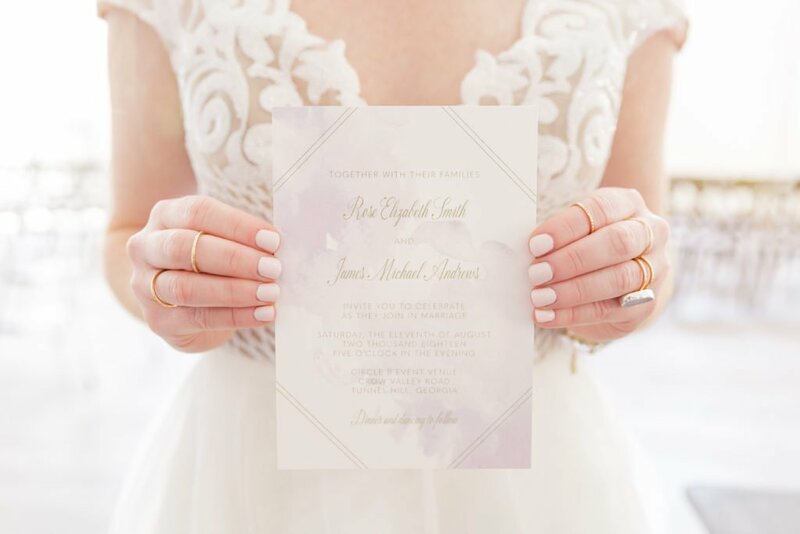 The soft lavender watercolor give a romantic feel and the gold toned fonts glam it up a bit. 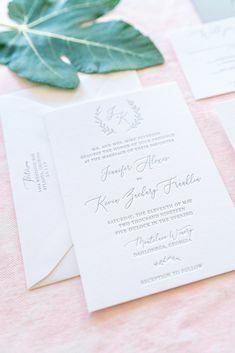 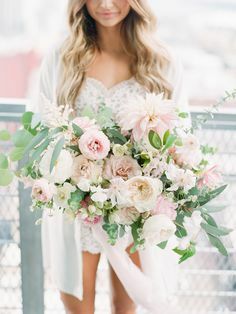 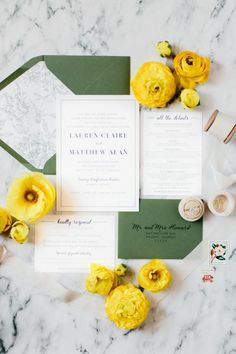 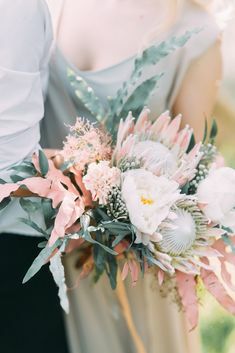 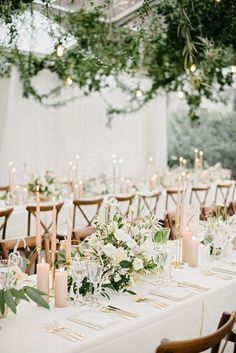 I might be biased, but I think it fit pretty perfectly with the other details from this faux wedding day! 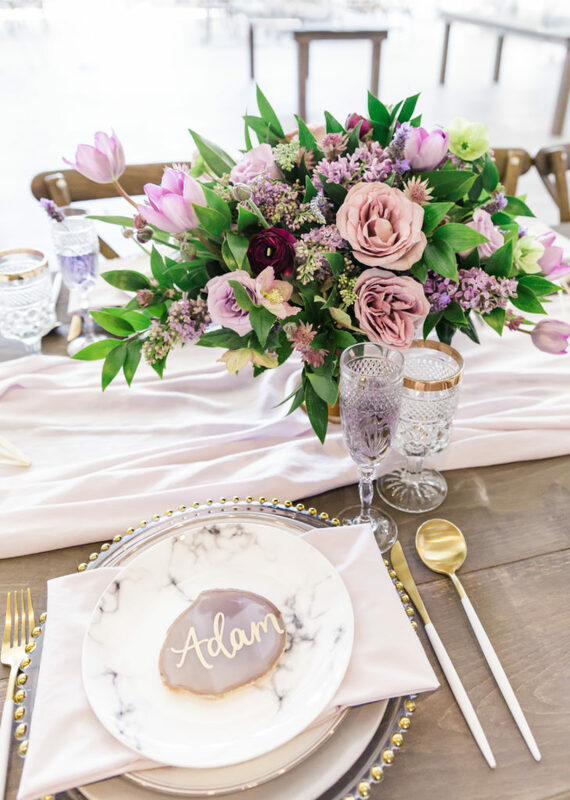 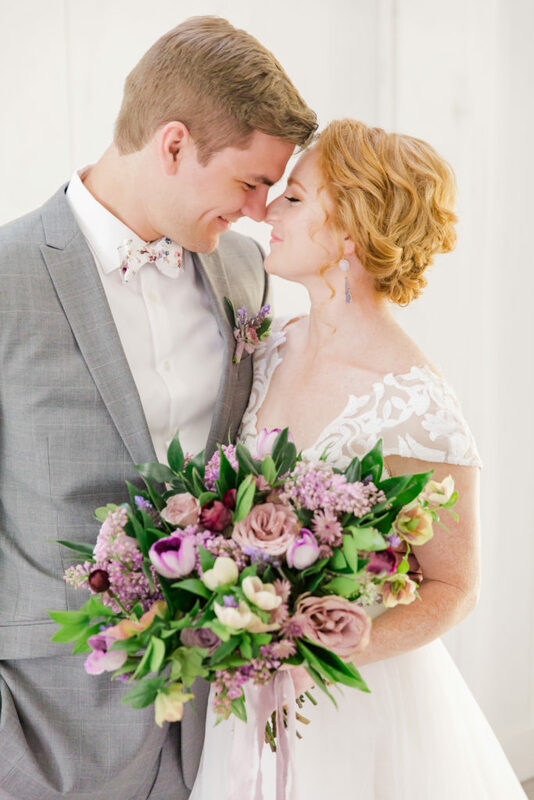 From the colorful, lush florals to the artfully designed cake to the gorgeous Hayley Paige gown – and everything in between, this lavender wedding styled shoot is one for the books! 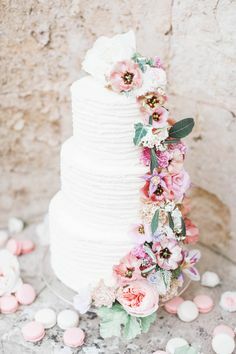 At least the magazines, because it was published in North and Peach. 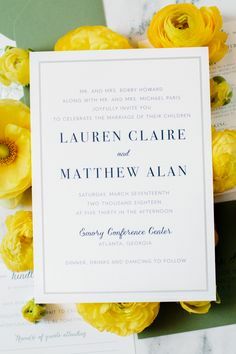 See full vendor list and links at the bottom of this post! 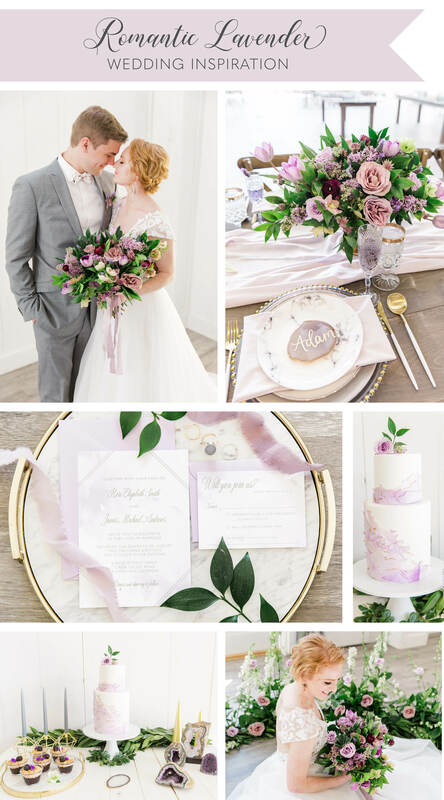 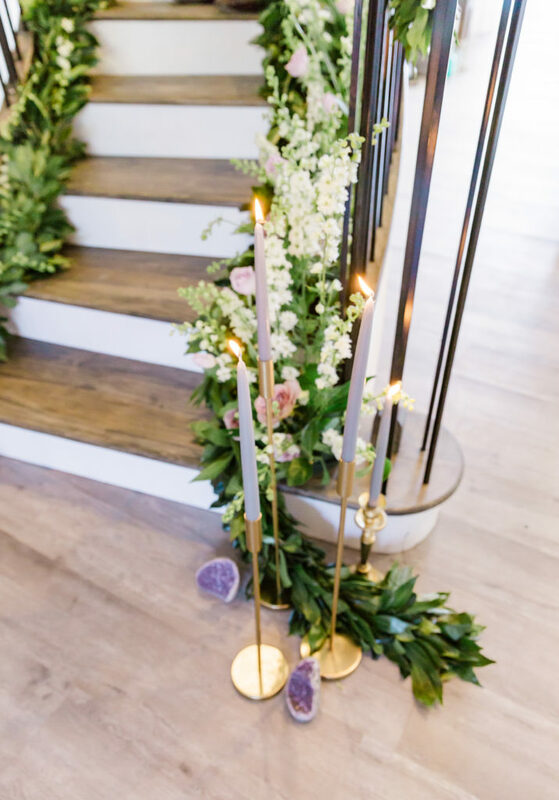 Are you feeling inspired by this lavender styled shoot? 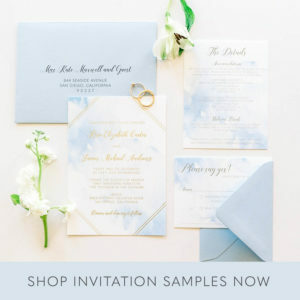 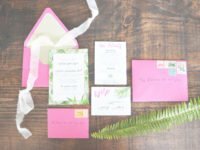 You can order a sample of these wedding invitations right here!